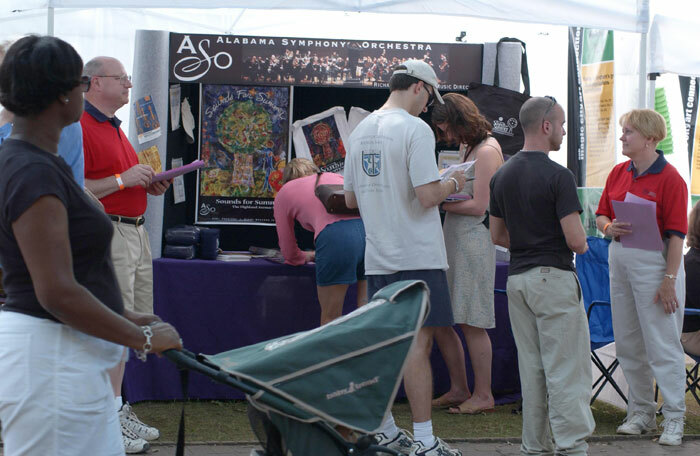 The mission of the Alabama School of Fine Arts, a diverse community of explorers, is to nurture impassioned students by guiding and inspiring them to discover and fulfill their individual creative abilities in an atmosphere distinguished by the fusion of fact and feeling, risk and reward, art and science, school and society. The Alabama School of Fine Arts is a partially residential public school authorized and funded by the Alabama Legislature to provide tuition-free instruction to impassioned students, grades 7-12. The school provides focused specialty instruction in Creative Writing, Dance, Mathematics and Science, Music, Theatre Arts and Visual Arts, plus core academic courses necessary to earn an Alabama high school diploma. The school operates under its own enabling legislation, policies and procedures, guided by a state-appointed Board of Trustees, under who serves a staff of more than 100 full and part- time administrators, teachers and support workers. Alabama students pay a small semester matriculation fee, but no tuition. Students from outside Alabama pay tuition, which the school sets annually. Residential students pay room and board costs, set annually. Vision, the dominant sense, has led us to create images as powerful as the prehistoric cave paintings of Europe and as challenging as the works of Pablo Picasso. With art that communicates and inspires, provokes and educates, artists speak to us with works that are at times direct and obvious, but always as complex and layered as the human experience. ASFA visual arts students engage in advanced studio work in painting, sculpture and drawing, as well as in-depth classes in art history and an expanding curriculum in digital photography. Under the guidance of professional artists and with the exhibition of their artwork, our students discover their own personal aesthetic, their own vision. The Birmingham Civil Rights Institute (BCRI) is a museum, a place of research, a teaching facility and an acknowledged learning center for people of all ages and backgrounds. Since opening in 1992, the Birmingham Civil Rights Institute has been visited by more than two million people from all 50 states and around the world. The Birmingham Civil Rights Institute’s mission is to promote civil and human rights worldwide through education. With free daily admission, the Birmingham Museum of Art welcomes our entire community to discover the world through art. Representing 5,000 years of global civilization, our collection of more than 27,000 objects showcases Asian, European, American, African, Pre-Columbian, and Native American cultures. The Jefferson County School of Visual Art is dedicated to nurturing students interested in pursuing a career in the visual arts through an integrated, relevant curriculum tailored to their individual needs. This preparation ensures that our students will be successful in the workplace and ready to meet the competitive demands of the twenty-first century. At Redemptive Cycles, our mission is to redeem the streets. We believe getting people on bikes makes Birmingham a more connected, comfortable, and livable city. Bicycles are affordable transportation, which not only fight congestion, parking shortages, and pollution in the city center, but also boost individual health and fitness! Through our non-profit bike shop we sell new and refurbished bicycles at an affordable price, provide professional-quality repairs and maintenance services below market rates, and use a sliding scale for those in need. Through our “Earn-A-Bike” program, those in need can work at the shop, learn how to repair and maintain a bicycle, and leave with a bike of their own. Space One Eleven is a nonprofit visual arts organization founded in Birmingham, Alabama in 1986. Space One Eleven’s mission is to provide professional opportunities for artists, create a forum for public understanding of contemporary art, and offer arts education to area youth. The UAB Center for Palliative and Supportive Care has a long history of outstanding clinical programs, collaborative research, and exemplary educational experiences. With a focus on holistic care, the Center incorporates art and an emphasis on the aesthetic into the care for patients with serious illness and their families.